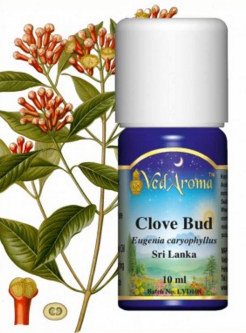 Then there is VedAroma Clove Bud Oil (Nelke in German). 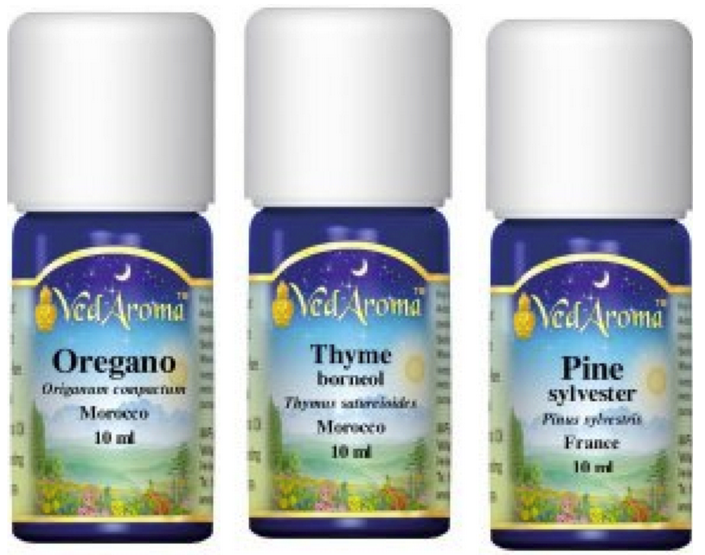 Clove Oil reduces Vata and Kapha and increases Pitta. It’s also well-known to help reduce toothache—just put a drop on a cotton ball and place it on top of the tooth. Antioxidants have been investigated for the prevention of diseases such as cancer, coronary heart disease and even altitude sickness. In addition, antioxidants have been frequently indicated as a potential means to improve general health status and increase longevity.